Ducks, Geese, Herons, Egrets and more. A pair of Great Egrets (Casmerodius albus) share a fallen tree branch with a few Alligator snapping turtles. 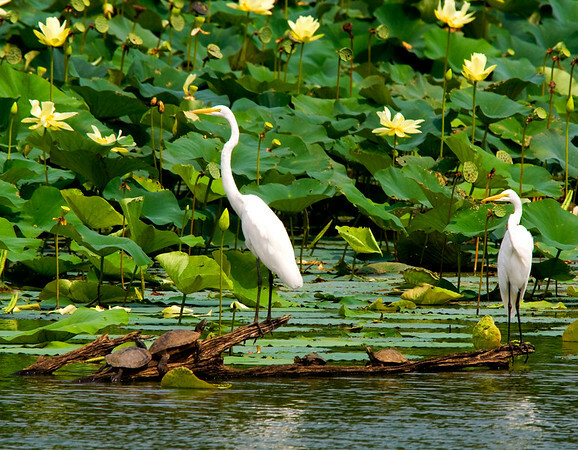 Great Egrets Casmerodius albusHabitatTurtlesAmerican LotusWaterfowl.